"Oh No! I could never do that!" Want to become a brand leader? Have prospects want you over the competition? Give a balls nailed to the wall guarantee. Something that makes you sweat and go, “Oh no! I could never do that”. That was the challenge put by Rashid Kotwal of Revealed Resources. Rashid helps businesses accelerate their growth by winning high value clients. I interviewed him a while ago – “How to Gain High Value ClientsHigh Value “How to Gain High Value Clients”. “Oh no! I could never do that". And then I’d insist you feel the fear and do it anyway. Why? Because as customers our number one fear is “Will it work. And if it doesn’t will they fix it.” Answer that comprehensively and you’ll remove that barrier to a sale. Do we get things 100% right all the time? Well, to be frank, no we don’t. But you know what, we’ve been in business for over 40 years and we haven’t been here this long without knowing the problems in advance that are likely to happen on your job when you’re installing it and we have a team here who are willing and waiting to help you! And if we do make a mistake ourselves, whatever that may be, we’ll fix it! GUARANTEED!! You’ll not have to put up with an inferior job from 2nd rate tradesmen, whether they’re installing or manufacturing your job and as we are the manufacturer too, we know how your job goes together. We have the expertise to get it right… even if occasionally that’s not the 1st time! Which is a great lead in to the subject of guarantees or risk reversal. One of the biggest barriers to a sale is risk. Your prospects want to know you’ll stand by your product or service if things go wrong. And obviously in most cases the answer is a resounding “yes”. But ironically, just about every business fails to communicate this to their prospects and clients. They think clients will take advantage of them and invoke the guarantee even when the client is obviously at fault. One of the most important rules in marketing is “state the obvious” and tell people what it is you stand for. If you stand by your product or service and will fix things that go wrong, regardless, you need to shout it from the rooftops. Now I can hear some of you cringing at the thought, thinking you could never do that and it’s a sure way to go broke with the flood of customers wanting stuff fixed even though it’s their fault. But you know what, it rarely happens. Here are some examples from our files. Pixel Perfect – one of Australia’s leading professional photographic labs, is fanatical about colour management (i.e. what the photographer shoots is accurately printed), Pixel would print and if necessary reprint work till it was just right. 14 years ago, it was a crowded market, and Pixel needed an edge. We told them to offer a 110% money back guarantee. Suffice to say, after a lot of kicking and screaming, they implemented the guarantee and splashed it across all their marketing. And you know what? In 14 years they have NEVER had anyone take them up on it. And they are now one of the few professional labs in Australia who are still around and the business is extremely healthy. How about “All Heads Service”, who provide car cylinder head replacements to Auto Mechanics around Australia. If they make a mistake, they guarantee to either fix it or replace the cylinder head and reimburse the mechanic for all reasonable expenses. The exclusive no fault warranty where they guarantee to fix the cylinder head even if the mechanic makes the mistake! If at ANY TIME during the cylinder head warranty, the head gasket blows, they’ll fix it and provide a new head as well. That takes balls! And it’s no coincidence they are a booming business because of it. Now if you’re still feeling fearful about offering a guarantee like this, go back through your records and look at the facts. See how many times you’ve been called on it. And see how much good will you’ve generated once you’ve fixed the issue. I’m sure you’ll be surprised at the relatively few times (maybe even never) of being called on the guarantee. Case in point is a conversation I had with a New Zealand Landscape company. We were talking about outdoor construction and paving and I asked if they guaranteed their work unconditionally. They’ve been in business over 25 years and only once had a problem with tiles. And the manufacturer admitted liability and fixed it! Given these odds, why wouldn’t they differentiate themselves from the competition by proclaiming they’ll fix any issue regardless of who or what’s at fault? These companies have builder’s insurance anyway – so what’s the problem? 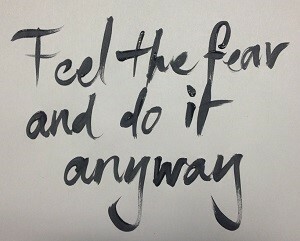 Just feel the fear and do it anyway! Your business will go forwards in leaps and bounds. Finally, if you’d like help articulating your new guarantee, drop us a note and we’ll help you implement a guarantee which will help you become a leading brand. Guaranteed! One of the biggest barriers to a sale is risk. Your prospects want to know you’ll stand by your product or service if things go wrong. A guarantee reverses that risk in the prospects mid. The stronger the guarantee, the greater the impact on the prospect, and the greater the impact on your sales. Does the prospect know just how strong your guarantee is? One of the most important rules in marketing is “state the obvious”. Shout it from the rooftops! Customers rarely try to diddle you. Check your records; that will tell you how often you have been called on to fix a problem. The faster you have remedied a problem, the more the goodwill. Your guarantee provides an opportunity to differentiate yourself from your competition. 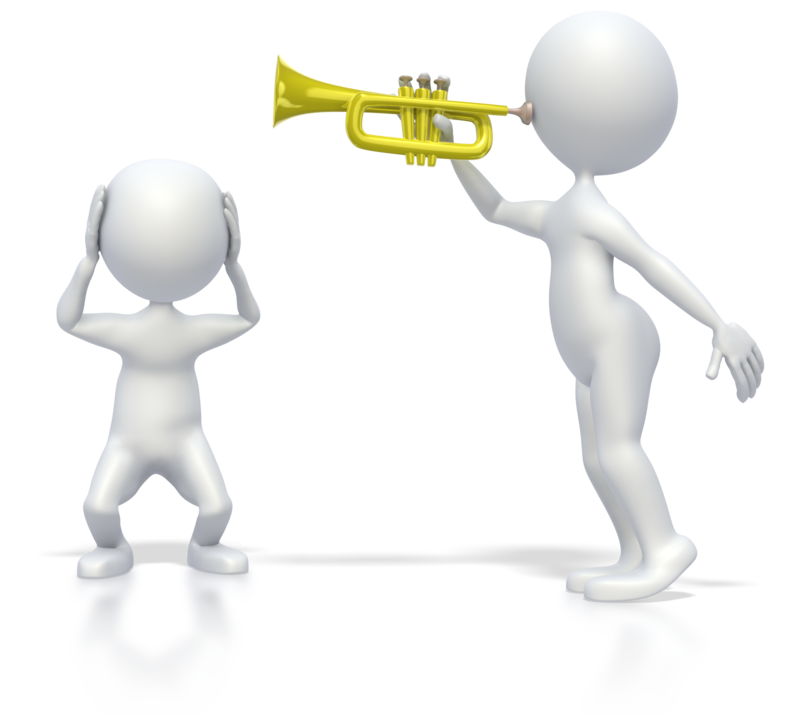 When clients approach me for coaching, so often, they are not getting the clients they need, the right clients. Eight times out of ten this comes down to not knowing what is working, and what is not working, and why it is not working. So often they have not demonstrated a significant point of difference from their competitors, a point of difference that gives the prospect real confidence in selecting them. For more than 29 years I’ve been helping small business owners plug the profit leaks in their business and restoring their cash flows by assisting them understand where there profits really come from, where they’re leaving money on the table, and where their sales are costing them profits. Finding time is something that bedevils all of us; there’s always something that is urgent, or important, or both. If you are like me you’ve tried prioritising the day, the week. Or you’ve applied the 80/20 Rule to your list of “to-dos”, but the problem never really goes away. To get ahead we need to get things done. Consulting - when he says consulting he means one-on-one. You spend an hour, and you can never get that hour back. So, that’s one-on-one. Training - And training is what would happen when you stand in front of an audience and you speak to them. Say, instead of one person on a call there would be 25 people, 50 or 100. And he knows this now through webinars and podcasts, anything that’s live. You still have to show up, but there are several people on the other end of the call. So, you’re spending the one hour, but the revenue is several times over. Leverage is having products; when a training session is recorded, it becomes a product. And suddenly, what happens is you don’t have to be there. Just like Elvis. He doesn’t have to be around anymore. In the truest form, leverage allows you to create a product and then sell that product multiple times over. The whole system of sales can be automated, leaving you with the simple task of collecting the profits. You know it works because of Elvis. You’ve come back to Elvis again. You know it works because he’s not around, and the system works for him, but it also works for businesses where the person who came up with the idea no longer exists. There are problems if you only use the first prong. Most service businesses use consulting as a primary source of income. Consulting is pretty hands on and involves advising clients, monitoring the client’s progress and doing projects. If you sell services, like consulting or accounting, or whatever, and that’s all you do, you can’t ever “leave the building.” You have to be there all the time at someone’s beck and call. For the vast majority of people, when someone calls for a job, whether you’re a window washer, or mowing lawns, or a consultant, or a doctor, whatever, you go. So 100% of your income comes from consulting, and so you have to go. What if you could do “Group Consulting”, advising a bunch of people at the same time. And that is what “training” is. The cost to the individual client may be less, but if you have a group, then your overall return for that hour, or however long it takes, is much greater. You’ve converted that consulting from “one-to-one”, to “one-to-many”. And what if you recorded that training, added the notes, and made that package a “product”, and product which could be sold again and again? The logic is unstoppable, and that is to reduce the consulting time to the minimum, and spend more time into creating products which can then be turned into both training, and leverage. The effort of creating the product is a one-time effort, and it brings on-going revenue. And reducing consulting creates time which can be more profitably used elsewhere, whether it is in “product creation”, or taking a much-needed break, as Sean does. The point is how are you going to make time? This is what the Three-Prong SystemTM does really well. It says that, if you start to increase your leverage, if you start to increase your training, you will do less consulting. Now people will say, “I love my work. I love my consulting.” Sure, so keep as much consulting as you want. But have bigger chunks of training and leverage, because that will allow you to choose your clients. Once you understand where your business comes from, you can analyse what’s good for your business and personal health. Can everyone do this?” No. It is specifically designed for people who have control over their own time. And that is a self-employed person. Technically they have control over their own time. When you work for someone else, you may have some flexibility, but ultimately, you’re bound by the requirements of management. There is one other point to consider; you can’t jump straight away into all three prongs. If your training, and products are to be successful, you first have to establish your credibility. And that will usually start with consulting. Consulting keeps you on your feet; clients ask questions you’ve never considered before, and you know the answers. Now that doesn’t mean you can’t start with a product, and consult/train in that field to build sales, but for most, it will start with a service skill. Making more productive use of your time creates time. Note: The content of this blog post is based on a podcast by Sean D’Souza. When clients approach me for coaching, clients with businesses that are underperforming despite the crippling hours and effort the owner is putting into them, it is not just marketing that is holding them back. They so often lack a management mindset, and lack control over their business. Eight times out of ten that lack of control comes down to a lack of knowledge of what is happening in the business, and where their business is coming from. For more than 29 years I’ve been helping small business owners plug the profit leaks in their business and restoring their cash flows by assisting them understand the information they need to have control over their business, how to manage and analyse it, and how to answer that critical question – WHY IS IT SO? The American baseball player and manager, Yogi Berra, supposedly said: “If you don't know where you're going, you might not get there.” I was reflecting on a client’s journey from the depths of despair, and the ultimate outcome of such despair, to being a national authority in his field, heading a profitable business, with another giant step upwards in front of him. That journey has inevitably followed a rocky path, hindered by various pitfalls, obstacles, false tracks that lead to nowhere. But as he got back on track each time, and traversed the path, the road ahead became clearer, firmer, and broader. Let me tell you a little about the client, and the business. Obviously, I can’t tell you the business name, or even the industry. I can tell you he is a professional, with a staff of about ten permanent or part-timers. Let’s call him Tom. An intriguing part of the story is that in terms of his market, he operates in a niche within a niche – very focused. That is a key part of the story. It makes my client, and his business very different. He is certainly not a “match in a matchbox”. Despite such a narrow market base, it has enabled him to deepen his market and broaden his offerings. But that is not where Tom started. He commenced in his business covering the entire local market. Some years later Tom narrowed his focus to just one niche, but covering all aspects of that niche. He then narrowed it to the ‘niche within a niche’; a brave move. Now we all want to grow our business (Do you want or need to grow your business), but it’s how we do so that matters. But Tom’s move to have a specific, narrow focus worked, at first. The business grew rapidly, in part because he expanded his offering to this narrow market, training his fellow professionals, and selling them products to help them in their business. This is known as the Three Prong Strategy, although Tom didn’t know about that. Prong one is one-on-one servicing your client, but you are limited by the hours you can spend, and how much you can charge for them. Prong two is one-on-many, and training is a good example of that. Prong three is leverage, where products provide passive income. Business doubled every year, for a number of years, but this came at a cost – burnout. He was doing all the work himself, principally Prong One, working 100 hours a week. That is the danger in being reliant on Prong One. 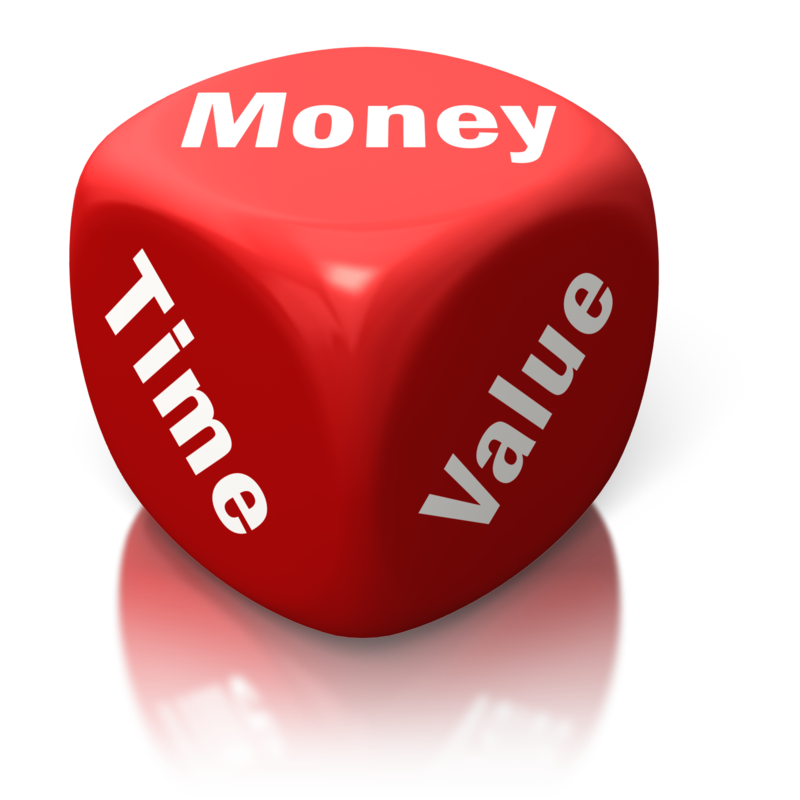 You can only grow revenue by working more hours, or increasing prices. But this lead to some of the false tracks which took Tom off his path. First, to solve the workload problem, he bought in more professional staff. It didn’t work out. Then a partner was bought into the business, to spread not just the workload, but also the responsibility. When that partner left, Tom was close to bankruptcy. 1. To focus even more specifically on the ‘niche within the niche’, limiting services to only one or to services in the base niche. When you completely specialise, you become the “go-to” person in that market, the brain surgeon, not the GP. However, if you stick to Prong One, as a professional you are limited by your geography; the time and price dilemma. So greater emphasis was placed on Prongs Two and Three. The market comes to you, rather than you going to the market. Professionals seeking Tom’s training have come mainly from Australia and New Zealand but have also included the US, UK and Saudi Arabia, Thailand, Canada, and South Africa. The second key decision relates to that common problem of being a professional, and not running a professional business. As I discussed in “Will you be Road-Kill on the Business Road?” “one large hurdle that must be cleared in a business is the trap of treating the business as a job, what you do, and not a business. Business Consultant Ben Fewtrell put it well - “The people that are self-employed earn money. The people that own a business make money.” So many businesses fail because they never learn the basics of how to build and run a business. Paved the road to success with good information; the information needed to manage the business, disperse the fog of uncertainty, and give a clear view of his world. There are now four, clearly defined lines of business, with the sales, costs and profits known for each. Profits have become consistent, and increasing, instead of fluctuating from profits to loss. Cash flow is watched, but no longer a problem. The next step is planned, and will take Tom, and his business to the stratosphere. Good, regular management information is imperative for good decision making. Where are your profits coming from? Narrowing your market (niche) allows you to deepen your market and broaden your offering. You will have greater depth and reach. Develop a marketing calendar. Consistent, regular marketing is required. Build a team. You can’t do it all yourself. There are no silver bullets, building good businesses takes time. It’s continuous, incremental improvement that makes the difference. Tom’s business knows where it is going, and it will get there. 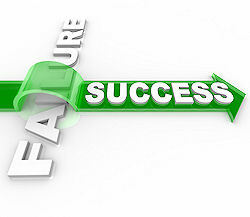 One of the reasons for the lack of success is the poor quality of tender submissions. In fact I often suggest to clients, that if they can’t prepare a professional response, they shouldn’t respond at all. A low price will not overcome a poor response. Governments are usually the biggest buyers of goods and services in most markets, a major source of business, as mentioned in "How to Overcome the Bureaucratic Burden of Compliance". Winning on-going government contracts is provides an important additional line of business, although I would suggest not making it your only source of business. Some businesses are dangerously dependent on one or two customers, and the most dangerous number in business is one ("A Dangerous Business Number"). Tendering and winning ongoing contracts is an important way of providing your business with long term stability, and allows you to build your reputation through providing services to high profile Government and corporate clients. Anyone who is serious about building their business must respond to tenders, but needs to respond professionally to have any chance of being successful. If you haven't done it as yet, your you need to assess your current capability to submit persuasive tenders, and where the gaps are in that capability; what do you need to put in place to do so, with minimum effort and maximum effectiveness. When it comes to the competitive bid response process, business doesn't reward runners-up. You either win or lose. If you are not prepared when the RFT is released, the chances of winning are not high. To avoid the problems of rushed tenders make sure you are tender ready! 8. Capacity and capability – can you demonstrate your capacity and capability to meet typical project requirements? This will include equipment, personnel, and finance. d) Can you demonstrate your documented processes and procedures to ensure payment of employees, subcontractors and creditors? The course will be around eight weeks, with a new module each week delivered on-line, followed by a face-to-face webinar towards the end of each week to discuss participants’ questions and learnings from each module. Participants will build their skills step by step, reinforcing their learning. How to Avoid Blowing your Chances with your Tender or Proposal! Proposals are like presentations - they need to be engaging. And it starts with your Executive Summary. You need to draft a compelling Executive Summary so that the Assessor wants to read more. You’ve put blood, sweat and tears into that tender response or proposal. It’s cost time and effort, time that could have been expended on other money-making activities. But you know your response is important. It could lead you into a new market, or cement your position in an existing one. Your response is not a tick-the-box test; it’s a race. And as in any race, there can only be one winner. 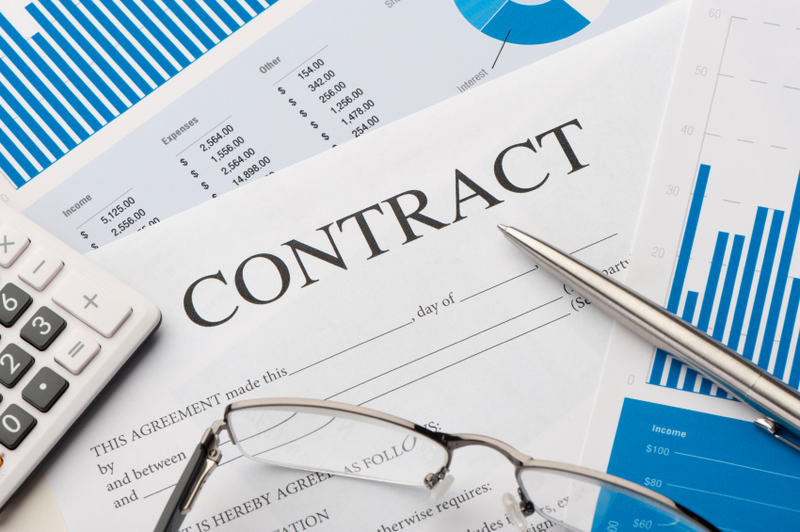 While many of your competitors may respond to a tender, only one business will win the contract. You can waste weeks, months or even years responding to tenders, without any guarantee of success. The opening section of your response is usually the Executive Summary. It summarises the key elements of your response the Assessor reads before getting down to the detail. You need to condense how your understanding of their requirement, the problem they’re trying to solve, your value proposition, briefly describe how you are going to deliver the solution, and why they can be assured you will. It lets the Assessors know upfront you clearly understand what the outcome they are seeking and tells them where they can find the information that meets the Assessment Criteria. Simplifying the complex issues you deal with in more detail in your response is no easy task. But, it’s definitely beneficial for the Assessor (and you) when you can do it and do it well. A good proposal is about the prospect, not you. What should go into your Executive Summary? By the time the Assessor has read your Executive Summary you want him to already have a tick in his mind. Your Executive Summary should be persuasive and make a compelling case for the contract to be awarded to you. Open with your understanding of the requirement and what the prospect is seeking to achieve. That means more than just restating the title of the tender, or its Scope of Work. Demonstrate your understanding of why the requirement is there, and the difficulties or challenges the prospect may have. So make the effort up front to understand their needs and challenges. That mean research. Follow with your Value Proposition. This is like an Elevator Pitch. In 1 – 2 concise sentences, make a powerful solution statement that expresses how your solution will more than meet their objectives, and add value. Focus on results, using language that is specific and measurable. Next you summarise HOW your solution will address the prospects needs and challenges. Highlight key features of your approach. Acknowledge any perceived weaknesses and how these will be addressed. Indicate where these are addressed in the body of your response. In one paragraph, briefly summarise your relevant experience – provide specific, evidence-based examples and reference contracts of a similar nature, scope and size. Demonstrate that you’ve exceeded expectations in these contracts. It's not just the experience. It is the skills, quality management, environmental management, contract management, project management, people and equipment to do the job efficiently and effectively. Choose you, and they won't embarrass themselves. Now to validate why you are the only logical choice. Identify the key benefits your solution provides. The key here is to identify the key “features” in your solution, and importantly, what this will do for them – the “benefit”. Example: Identify Feature A – "this means that (benefit)" and tell them how that meets the need or challenge. Summarise your Value Proposition again and issue a Call to Action; propose a meeting to make a presentation, or if appropriate, a visit to your premises. One last point – length. This is the lead into the response. You don’t want the Assessor to be wading through pages and pages. They’ll have enough of that when they get into the detail. Write tightly and restrict your Executive Summary to no more than two pages. A persuasive and compelling Executive Summary will enhance your chances, not blow them. Make a good first impression; don’t leave yourself scrambling to make up lost ground. But I would like to draw on your real-life experience in designing the course. If you would be happy to have a chat about it, send me an email with “Discuss TenderWins” in the subject line, and I’ll set up a telephone or Skype call. If I can’t help, I will suggest someone who can. Anyway, the Procurement Manager arrived after a few minutes. She introduced herself and sat down. OK, this anecdote is about a sales pitch, but if you read my last blog, you would be well aware that responding to a Request for Tender (RFT) or Request for Proposal (RFP) is a “sales opportunity”, except that the pitch is in writing, not face-to-face. But without a well-written response you won’t get to that face-to-face meeting. The opening section of your response is usually the Executive Summary. You need to draft a compelling Executive Summary so that the Assessor wants to read more. The Executive Summary is among the most important part of your response, and often the only section read by all Assesors. What the Assessors want to see is that you understand the requirement and the problem they are trying to solve. And they want to know right from the time they start reading your tender that you are singing their song. If you would like to discuss if this is a good fit for you, send me an email with “Discuss TenderWins” in the subject line, and I’ll set up a telephone or Skype call. If I can’t help, I will suggest someone who can. No doubt you have been in this situation at some stage in your business life. You may want to break into a new market, or expand your foothold in an existing market, or, heaven forbid, you desparately need more orders for your business. It is not just government that procure through tenders. Businesses do also. The larger the business the more formal will be its procurement processes. There are some differences of course. The bigger the government decision, the more likely it is to drag. The private sector is less averse to risk and typically makes their decision in a much shorter timeframe. The killer requirement is “COMPLIANCE”. So often, when responding to a request for quotation or tender, the detail the customer is asking for becomes a bureaucratic burden, particularly when the customer is a government agency. So much unnecessary detail. The questions just seem to go on and on, requesting seemingly unnecessary and irrelevant information, or asking for the same information in different areas. Now go back andlook at that bureaucratic burden you have been dealing with. In most cases all that bureaucratic detail you have been cursing is doing much the same thing. It is aimed at removing objections, reducing risk and giving the customer reasons to feel comfortable with you. How you get it may become the problem! You know the old saying – “Be careful of what you wish for; You may get it!” Now we all wish our business was more profitable. That’s fair enough, but it’s how you get it that can be the problem. The first reaction is to look at lifting sales; we must sell more. 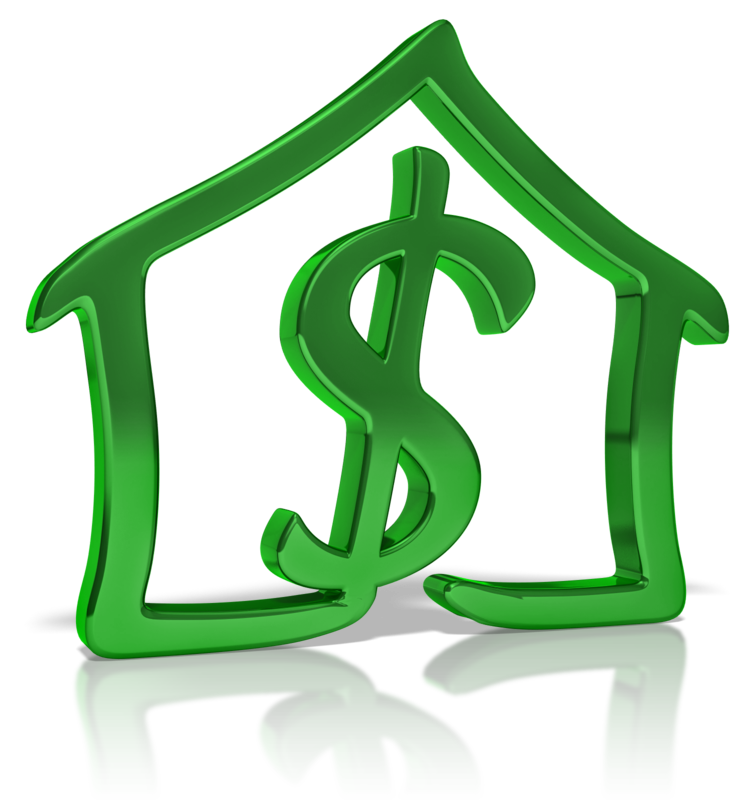 Sell more, make more money – simple! But that can bring its own problems, as I’ve addressed a few times. • “Can you get off the sales treadmill” – putting all your effort into increasing sales, rather than the profitability of those sales. But there’s another issue you need to address. A second, immediate reaction we have when looking to increase profits is to cut costs. It comes to mind almost as quickly as the thought to increase sales, and is especially prevalent when times are tough. But cutting costs can also lead you into unchartered waters. As I discussed in “Do you make it easy for customers to buy?”, cutting costs can make it more difficult for customers to buy from you. Larger firms cut costs. However, for most small businesses their cost structure is fairly lean so there is little to be gained there. In fact, trying to do something in the cost-cutting area could even further damage the business, and ultimately lead to reduced profit, rather than the hoped-for increase. Let’s look at why and how this could happen. There’s no doubt people are the largest cost for small and medium businesses. They are often around 50% of more in many small businesses. But customer service is a critical element in customer loyalty. If staff numbers are reduced, the customer experience can become less than satisfactory, leading to loss of customers. And sometimes you have to let go people who have been with you a long time, or have skills which are hard to replace. That happened recently with a client; they had to let go a “front of counter” lass who had been with them a long time. Losing her meant a loss of knowledge of the business, a face and personality customers knew and liked. It has an impact on other staff, and their loyalty. Don’t forget the training you have put into long-standing employees. When things improve, you will have to recruit again (a cost) and train once more (another cost). The training budget is another target for the bean-counters in tough times. There are two costs of training; the cost of the trainers and courses they provide, and the loss of productivity while your staff are out of action while being trained. 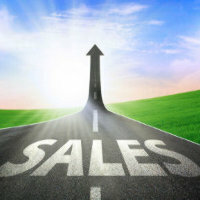 Sales training - the skills to turn a lead into a sale & close the deal. Product knowledge – when new products or services are introduced, your team need to know all the features and benefits of the new offering, and be able to answer customer’s questions, if they to make the sale. It’s a very quick turn-off for a potential customer if the salesperson displays a lack of knowledge of the offering they are spruiking. And you have to replace the customer you just lost. Continuous improvement – things change, technology keeps changing, customers beliefs change. You and your team need to keep on improving, finding better ways of running the front end, and back end of the business. When times are tough, your business needs to be as efficient as possible. That means continually improving your business processes. Don’t laugh, I’ve seen it happen! Times are tough; we need to cut the advertising or promotional budget. Yet you need to keep marketing to keep those precious sales coming in. Those who blithely toss such suggestions at you usually have little idea of the complexities of marketing and the messages you need to put into the marketplace to get a sale. Consider this; it’s all about “awareness” - awareness drives your promotion. Wanderers - those not yet aware they had a problem you can solve. For example, they don’t recognise the clues suggesting they might be leaking profits. They will not bother to think about the thing you are selling because it is not on their radar. Explorers - Those aware they have a problem, a need to be met, but are not yet ready to make a decision about a solution. Seekers - Those aware they have a problem, a need to be met. They have become consciously aware of a need to change the status quo, activating a heightened level of engagement. They are ready to make a decision about a solution. There are not many customers in the last, more in the second, and much more again in the first. Marketing is complex, and can be costly. Simply taking the cost-cutter to it is likely to cost you leads, customers, and profits. Be very careful of what you wish for! So, just what costs are you going to cut? The act of getting what you wish for may become the problem. 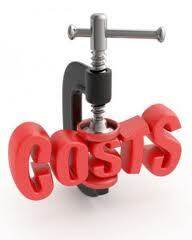 Cutting costs can help tide your business over tough times. There’s no doubt about that. But it can be a short-term sugar hit, and leave you with on-going problems that cost you profits. For more than 28 years I’ve been helping small business owners plug the profit leaks in their business and restoring their cash flows by assisting them understand where there profits really come from, where they’re leaving money on the table, and where their sales are costing them profits. Do you want, or need, to Grow Your Business? We all want to grow our business, and by grow, I mean both in sales, but more importantly, in profits. How might you do that? 1. Focus on the 20% - Many businesses waste a lot of money on advertising because they are trying to target “everybody”. They haven’t done the groundwork to identify the right market for their product and services. It will be those 20% of your customers base who buy 80% of your offerings, and make 80% of your profits. You need more of these “ideal clients” than “everybody”. A message targeting your ideal client, as opposed to everybody will cut your waste to zero and start getting maximum return from all your marketing. 2. Fine tune your Unique Selling Proposition (USP) - If you are still competing with other businesses, then your USP needs work. Your USP must target your ideal client; it can’t target “everybody”. Your USP must make your business the only possible choice for your customers. No one USP can be meaningful to “everybody”. 3. Bundle – Bundling is a more sophisticated form of upselling. When you make a bundle of things you are already selling and create a package with a compelling price, you are creating bonuses to the basic offer, and you can often make a lot more money. Sean D’Souza calls it the “Yes and Yes” offer, moving from the “Yes or No” offer. When people are not ready to buy, they are hard to tempt. But when they’re ready to buy, they’re looking for the best deal they can get. If the bonus is structured correctly, people will feel the need to buy the bundle for the bonus alone if it adds real value. 4. Offer more ‘done for you’ products – Done for you products are those products or services which take an idea or concept a person has, and converts it into a complete sales package. Not everyone has the expertise to create the product, let alone put together the templates to sell it. People want more “done for you” offers. They are increasingly more appealing. And they are willing to pay just to get it done. What ‘done for you’ package(s) can you offer your customers? 5. Sell to groups – Most businesses, whether bricks and mortar or online sell one-to-one. But you can sell one-to-many through workshops, training courses (whether offline or online) or webinars. Obviously, there is more time and effort creating the course or webinar, but there can be a much greater return. When you get good at selling to groups you can make significantly more per hour. 6. Get better at email marketing - Competition for attention in your email in-box is at an all-time high. Too many business owners are sloppy and don’t give enough care to creating good, relevant, compelling messages—consistently. Research tells us that email marketing is still the number one way for businesses to communicate directly with customers. Each year, the (American) Direct Marketing Association ranks marketing channels by the return on investment they generate. Email has lead their rankings for some years; in 2010 they projected that email marketing would return an average of $42 for each dollar spent, down from more than $43 in 2009. Email is the leader by more than a nose; the #2 channel was Internet search advertising, which returned just under $22 per dollar spent in 2009. 7. Resurrect the dead - You might be surprised how many of your customers have “gone missing”. Have a resurrection campaign to restore ‘dead’ customers; previously good customers who have inexplicably dropped off the perch. Bring the dead back to life; this may involve gifts or special offers. It should acknowledge that they haven’t used you for a little while, or that maybe you have done something that discouraged them. Apologise and what you can do to repair the relationship. Give them a reason to come back. Using one or more of these six tools will increase your income, and profits. Doing all of them could make a tremendous impact. Pick one or two to start and once you’ve implemented them, move on to another one (or two) on the list. • Does you marketing tail stretch to the sea? • When Shouldn’t You Increase Sales? • Is it What You say? Have you asked the Million Dollar Question? You know how, when you get a song in your mind, it keeps coming back and back. One such song for me comes from an old black and white film I saw many years ago. It’s set in Scotland, and the song is used as background for much of the film. What Do You Want Your Business Plan For? In those blogs I emphasised the importance of the planning process in knowing where you’re going. Part of the planning process is aided by various planning tools such as SWOT and Scenario Planning. It is the former I would like to discuss. There’s a good reason for that; I’ve seen SWOT used poorly, and so it doesn't give the results it should. I’ll get to that shortly, but first let’s have a look the individual components of SWOT; Strengths, Weaknesses, Opportunities and Threats. The first thing to get clear is that Opportunities and Threats are external to your business. You don’t have control over them, whereas you do, or should have, control what happens in your business - that makes up your Strengths and Weaknesses. So what constitutes an Opportunity or Threat in business? Expand the size of your customer base – e. g. natural growth, demographic shifts, rising incomes, economic conditions. Give new avenues for customer access - new ways of ‘packaging’ your product, new opportunities for promotion, alliances & networks. Increase the customer appeal of your value package - compared to those of the competitor. 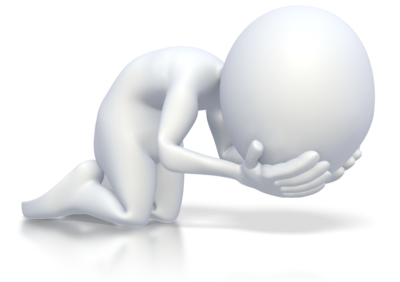 Exploit a weakness or blunder by a competitor - inability to respond to your initiatives. Reduce the size of your customer base - demographic shifts, falling incomes, changes to lifestyles, economic conditions. Make customer access more difficult or costly - changes in customer buying practices. Reduce the customer appeal of your value package - compared to those of the competitor. Performance of the business – systems, processes and procedures. Weaknesses are those things your business does not do well which prevent you taking advantage of opportunities or make it vulnerable to threats. Now I get to the problem I see so often when people prepare business plans – They identify all possible Strengths and Weaknesses of their business, and the Opportunities and Threats facing them, and neatly list them in four boxes. And there they sit. They usually discuss how they might resolve any of the points, but do so only in consideration of each of those four boxes, in isolation. But of course, in reality, they are not four individual boxes. They impact on each other. 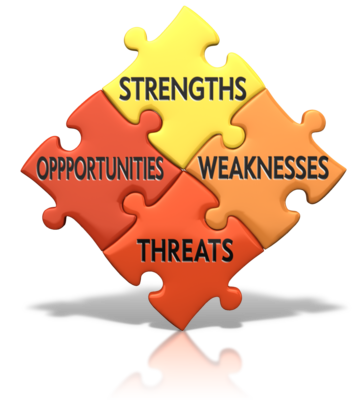 Organisational Strengths can be applied to take advantage of Opportunities and counter Threats, the other part of SWOT analysis. Organisational Weaknesses might prevent taking up the Opportunity or prevent an effective counter to a Threat. 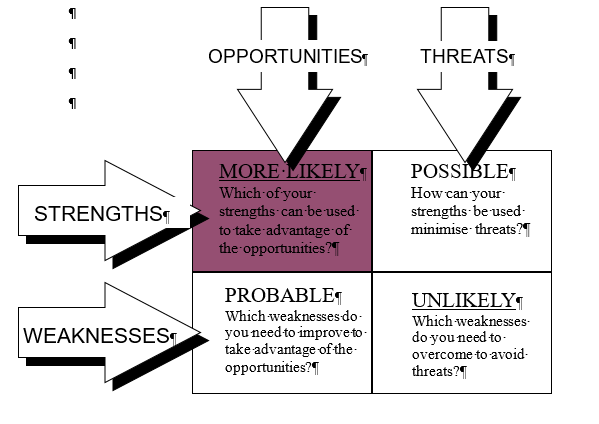 More Likely – What opportunities can you best take advantage of using your key strengths? robable – What opportunities can you take advantage of by fixing key weaknesses? Possible – How can you minimise threats by countering them using your strengths? Unlikely – this is the danger area for a business; risk. You have to consider “Likelihood and Consequences” of the risks this analysis identifies, and develop a strategy to prevent, mitigate or minimise the threat arising. See “How to expect the Unexpected”. There is one final step to take arising from your SWOT analysis. You will no doubt end up with a longish list of goals, but you can’t achieve them all at once, so you have to prioritise them; to identify the most important. 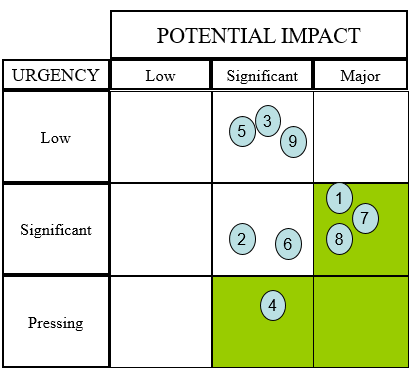 I feel another Matrix coming on – a “Critical Goals Priority Matrix”, which looks at the Urgency and Impact of achieving each goal. Now you will know where you’re going, and who is going with you! Have you clearly defined your Goals for the next 3 – 5 years? When clients approach me for coaching, clients with businesses that are underperforming despite the crippling hours and effort the owner is putting into them, they are sometimes held back by lack of knowledge of what is possible. A lack of focus of potential improvements leads to a lack of control over their business, and eight times out of ten that lack of control comes down to a lack of knowledge of what is happening in the business, and what their peers are achieving.